Whether you're finishing 2018 strong, thinking ahead to 2019, or both, keep this truth in mind. It’s probably no secret that I really enjoy goals. When set properly and purposefully, they can energize, inspire, provide an incredible sense of focus, and make a difference in the lives of many. It’s not about the goal. It’s about who you become in the process. When you set a Bold Goal, you become more bold. When you set a goal that scares you a bit, you become more courageous. And when you set a purposeful goal, you engage, live, and work with greater purpose. Reconnect with why it’s important to you. 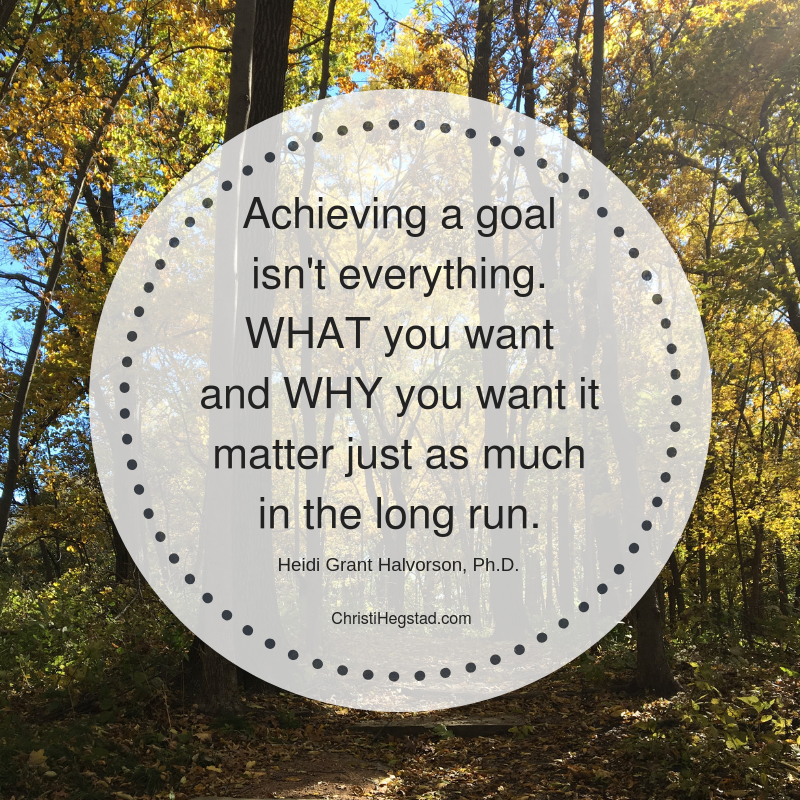 Revisit how achieving the goal will feel. Refresh your memory about how you don’t want this year to be a repeat of the last – you want to be able to say something about yourself on Dec 31 that you previously couldn’t. Remember your why. It’s likely your biggest motivator! Join our email community here and receive a free mini-training, 5 Tips For Purposeful Goal-Setting, later this week! And don’t forget enrollment to the 2019 ASPIRE Success Club closes soon – learn more and join today!